Cycling through the forests, fields, and honey coloured stone villages of the Perigord is a journey back in time. Vineyards, market towns, renaissance and medieval castles, 13th century bastides, 12th century churches, troglodytic sites and prehistoric cave art…World class rides and spectacular scenery are assured. We post these self guided Dordogne cycling tours as starting and finishing in Les Eyzies for practical travel reasons. Les Eyzies has regular train connections to Bordeaux and Paris. For details of how our tours are organised, rates, and a guide to setting up your cycling tour, please visit the Cycling Tours page. Arrive in Les Eyzies – overnight stay, tour starts following day. Les Eyzies – the European capital of prehistory, home to the National Prehistory Museum. Today’s ride is through the culinary heartland of the Perigord : forests of wild mushrooms, truffles & game, walnut groves, strawberry fields, fruit farms, duck & goose farms to Ste.Alvère – the authentic truffle centre of the Dordogne. Lunch options in the village. Les Eyzies to Cadouin / Montferrand. Limeuil – this old fortress village was for many centuries a port and safe haven for heavy barges. Limeuil’s role as medieval arsenal and watchtower was established due to its strategic location at the confluence of the Dordogne and Vézère rivers. Trémolat – with its 12th century Romanesque church, lunch in a café or restaurant. Overnight in Cadouin or Montferrand. Cadouin – this charming village grew around a 12th century Cistercian abbey; the cloisters feature three different architectural periods. Molières – the unfinished English bastide. St Avit Sénieur – timeless village with a massive fortified church – origins 11th century. 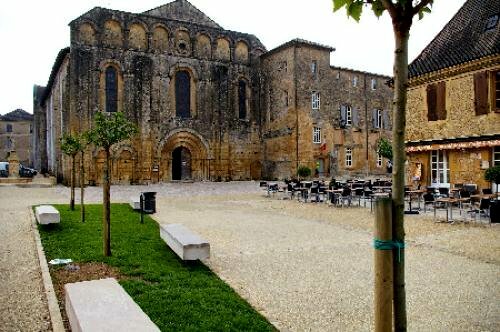 Monpazier – founded in 1285 by Edward I, King of England and Duke of Aquitaine, Monpazier is the finest example and best preserved bastide in the region. Good choice of restaurants and cafés. Cadouin / Montferrand to St.Cybranet / La Roque Gageac. Belvès – medieval village with a 15th century covered market, turreted houses, bell towers, and terraces. St Laurent la Vallée, St Pompont, Daglan – lunch possibilities in these villages. Domme – hilltop bastide situated high on a rocky crag overlooking the Dordogne valley. Templar knights were imprisoned here after the infamous swoop on Friday the 13th of October, 1307. 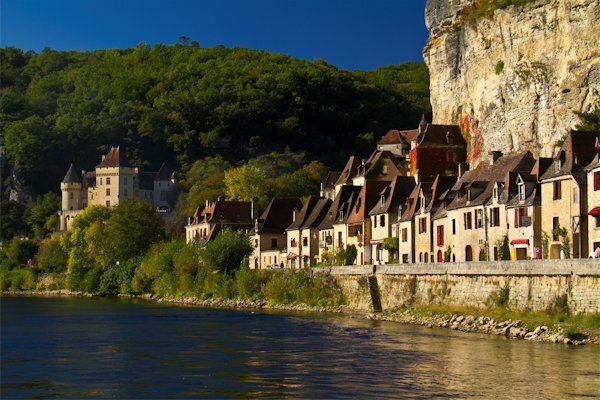 La Roque Gageac – one of the prettiest villages in France, set between cliff and river. Overnight in St.Cybranet or La Roque Gageac. St.Cybranet / La Roque Gageac. Canoe trip on the Dordogne, one of the cleanest rivers in Europe. Sarlat – the market town famous for its narrow medieval streets, restored Gothic and Renaissance townhouses. Jardins de Marqueyssac – walk through the hanging gardens of Marqueyssac, which offer superb views. 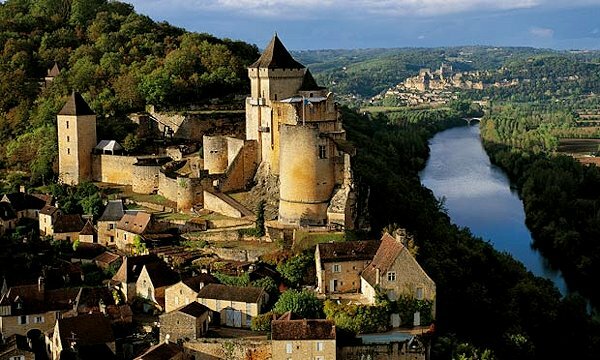 Château de Beynac – this formidable stronghold, with its 13th century keep, was one of the 4 baronies of the Périgord in the middle ages, and held by Richard the Lionheart until his death. Château de Castelnaud – 13th century medieval castle with a museum featuring war in the middle ages..
Château des Milandes – this 15th century Renaissance castle was eventually purchased by Josephine Baker, where she sought to create a “World Village”, adopting children of different race, religion, and nationality. St Cyprien for lunch. Meyrals – known for the many artists who live here (visits are welcome). 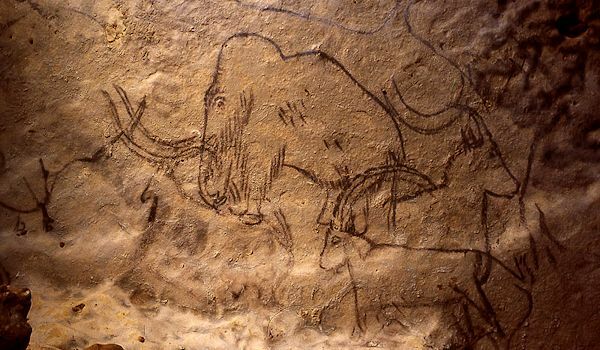 Grotte de Rouffignac – features galleries adorned with engravings and paintings of horses, ibex, rhinoceroses, bison, and a great number of mammoths, including the “Patriarch”. Rouffignac, Plazac – choice of café/restaurants for lunch in these villages. 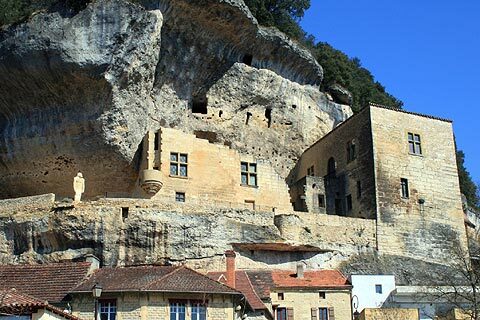 La Roque St Christophe – this vast troglodytic site has been inhabited since the upper Paleolithic Age (50,000 years ago). La Madeleine – prehistoric rock shelter, the prehistoric deposits found here established the characteristics of the Magdalenian culture. The 9th century troglodytic fort built into the cliff face was inhabited until early 20th century. For an extended Classic tour : extra nights can be added in Les Eyzies , Cadouin, and in St Cybranet / La Roque Gageac. Please contact us for details.